TDS certificate is to be issued by person deducting tax at source. Every person deducting tax is duty bound to furnish this certificate to the person from whose income/payment the tax has been deducted. The certificate should specify the amount of tax deducted and rate at which it is deducted. 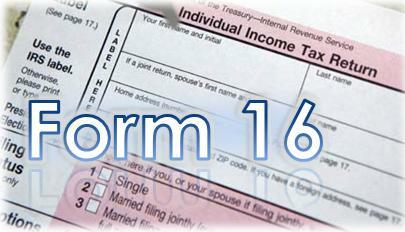 Form 16A is available to registered TANs at TIN. In case of Salaries, the certificate should be issued in Form 16 containing the Tax computation details and the Tax deducted and Paid details. In case of Non-Salaries, the certificate should be issued in Form 16A containing the Tax deducted & Paid details. As per Income Tax Department (ITD) circular no. 03/2011 dated May 13, 2011 Companies and Banks are required to issue Form 16A from TIN to their deductees for deductions made from April 1, 2011 (F.Y. 2011-12). Form 16A is available from F.Y. 2010-11.